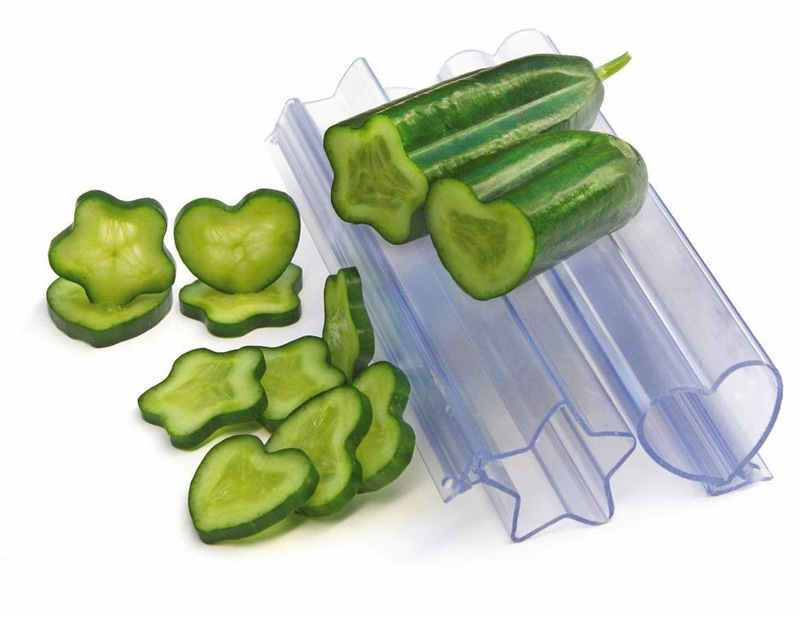 Collection of 'Cool Products and Tools for Cucumbers' for your kitchen from all over the world. 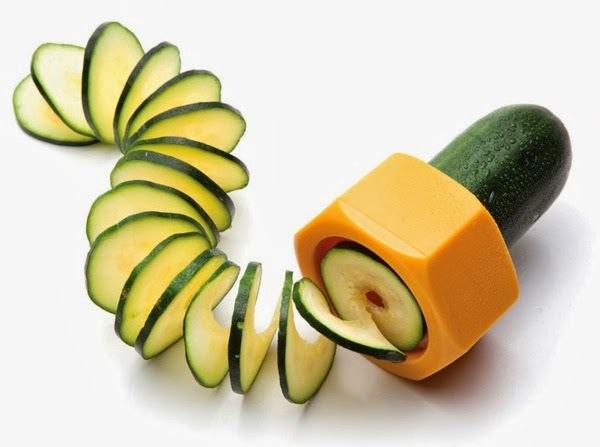 Cucumbo Spiral Slicer: This spiral slicer will be a cool addition to your kitchen and fun to your salads. 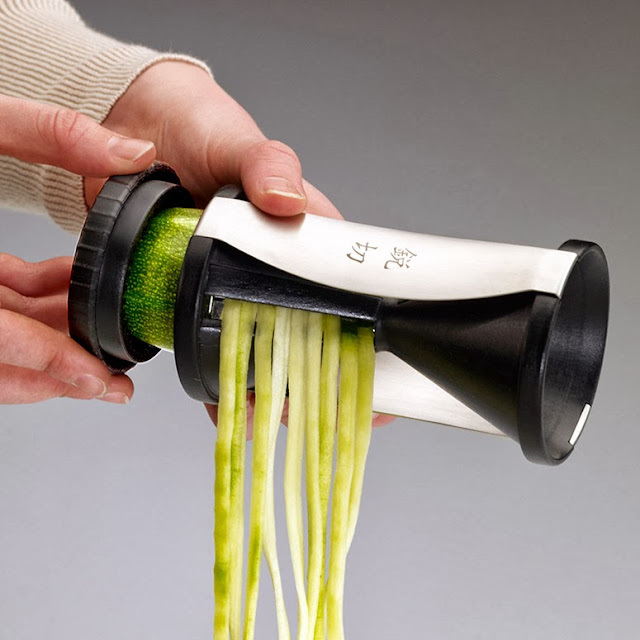 Gefu Spirelli Spiral Vegetable Cutter: The Gefu Spirelli Spiral Vegetable Cutter works similar to a pencil sharpener, all you need to do is place a firm vegetable and twist it into the special Japanese stainless steel blades to create perfect spiral vegetable. Salad Slicer /Shredder: This 114-watt professional-model electric slicer/shredder slices the cucumber into your salad right into place in seconds. 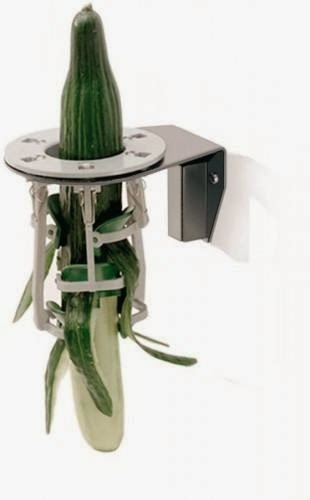 Shape Changer: Grow your fruit or vegetables in the shape of a star. 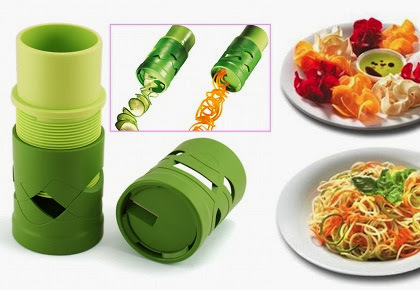 Veggie Twister: This cool kitchen gadget turns veggies into endless spiral veggies. Tri-Blade Plastic Spiral Vegetable Slicer: This vegetable slicer creates spiral cuts and vegetable or fruit noodles in seconds. 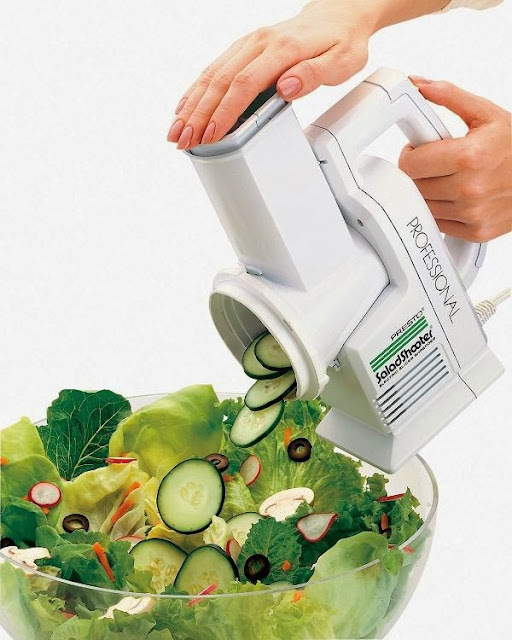 Progressive Slicer: This gadget quickly and easily slices fruits and vegetables. 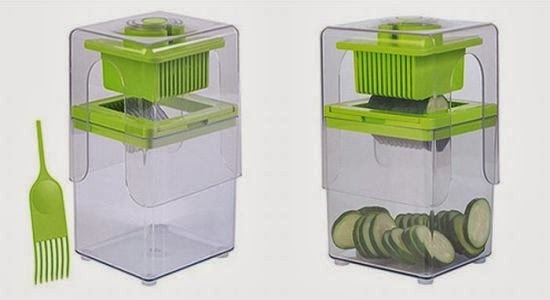 Cucumber Saver: This little gadget keeps your cut cucumber fresh. 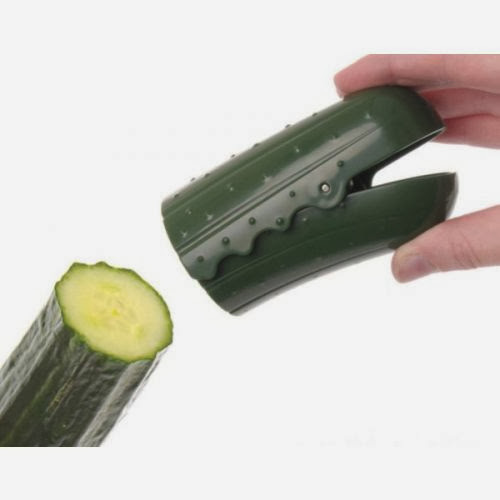 Cucumber Peeler: This cucumber peeler can be fixed to a wall and makes cucumber peeling an easy task. 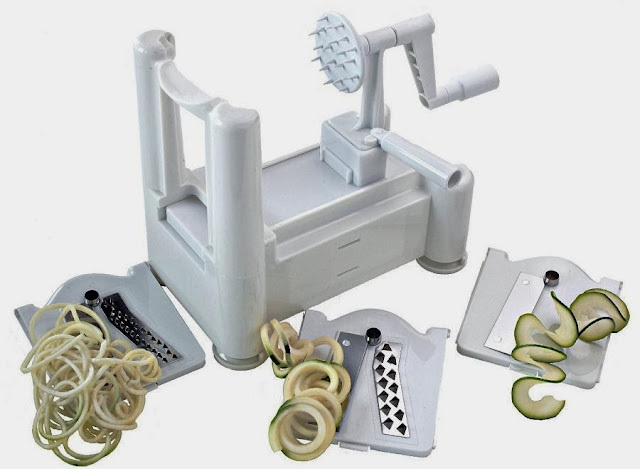 Cucumber Sharpener/Peeler: It cuts your vegetables in different shapes to create different shaped curled peelings. Chef'n Palm Peeler: Place your fingers into the top loop just like a ring and it sits in your palm and is ready to peel. 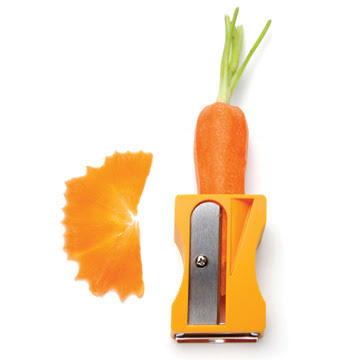 Karoto Sharpener and Peeler: This kitchen tool allows you to peel, sharpen and curl thin ribbons of carrot, zucchini and cucumber vegetables to decorate your salads and dishes.